It's really easy to write a descriptive paragraph! 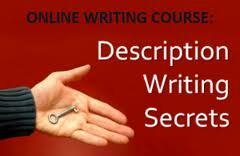 How To Write A Descriptive Paragragh? Here you are going to learn how to describe your surronding environment.